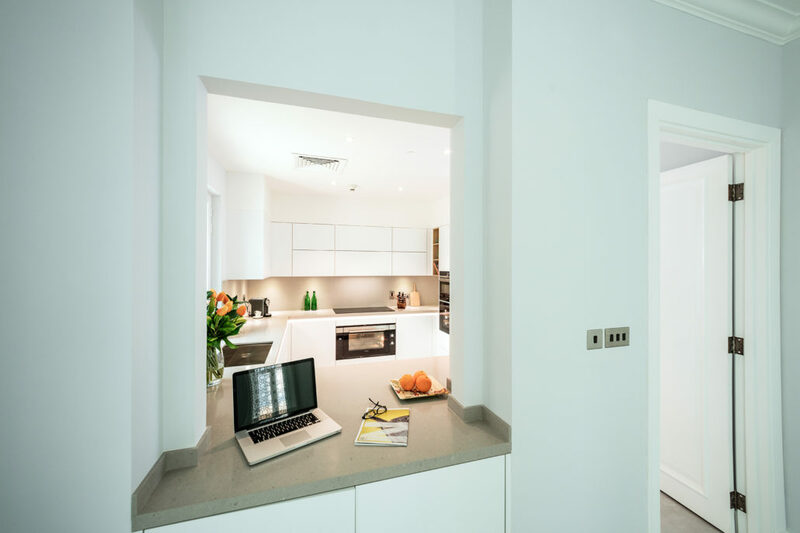 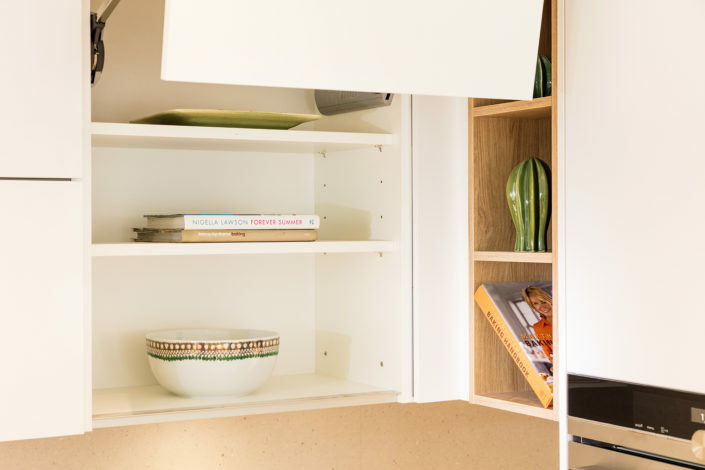 Kitchen and Wardrobes with major storage feat. 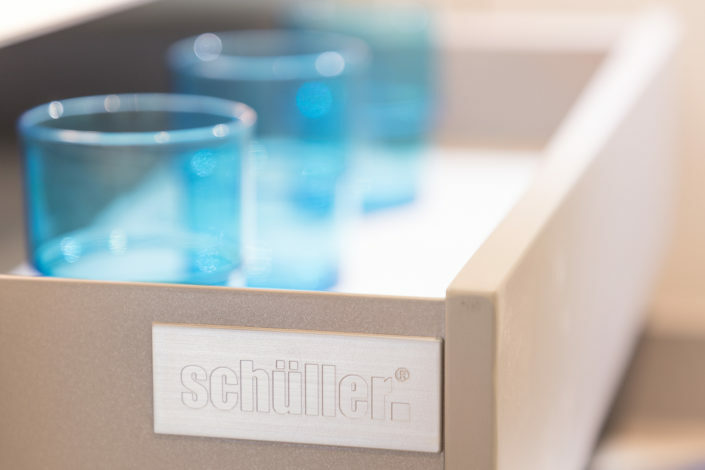 In the heart of the bustling city of Dubai, a beautiful penthouse nestled in Downtown Dubai imbibed our Schüller C kitchen and Interlübke wardrobes. 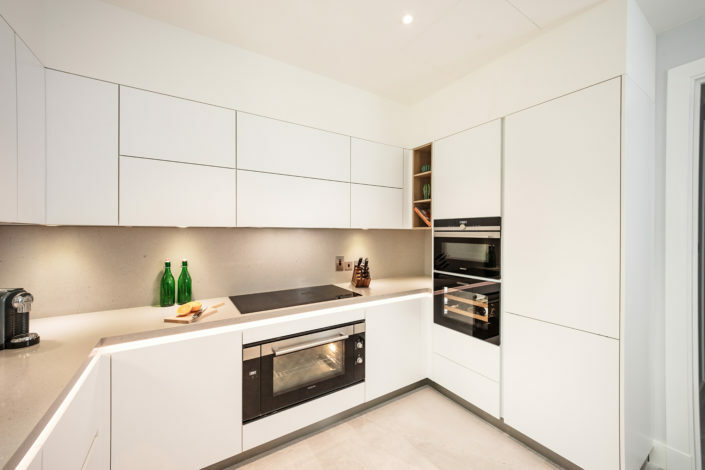 The kitchen magically offers ample free space for movement along with huge amount of storage space made possible by the mounted cabinets having fold flap door, multiple Lemans pullout drawers, open shelves, drawer inserts & under counter cabinets. The space looks vibrant with the natural light reflecting off the Crystal White laminate fronts with handleless grip ledge. 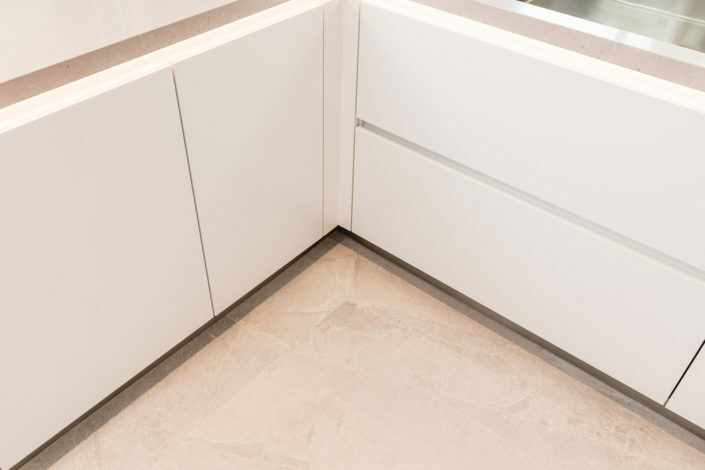 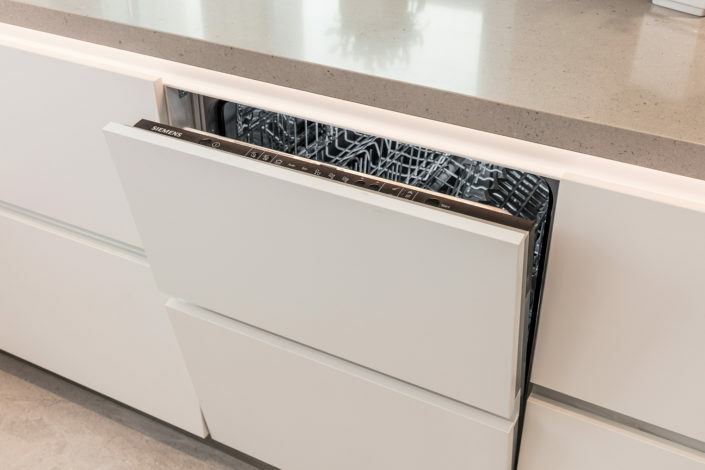 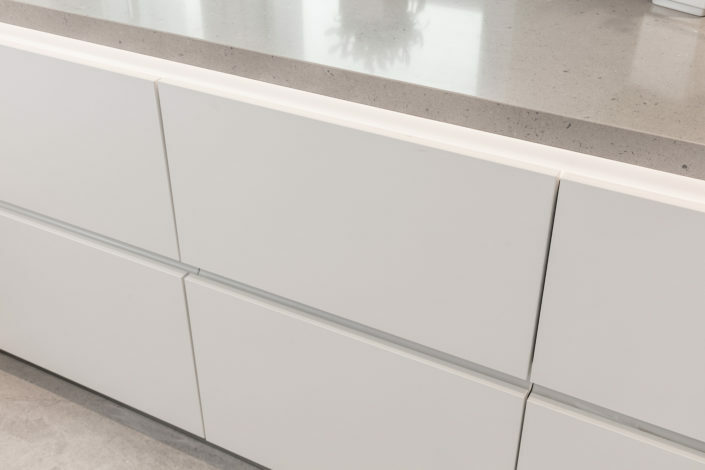 This kitchen has a melange of multiple electric brands: The door fronts follow linear lines and crevices with covert integrated appliances like the Siemens dish washer. 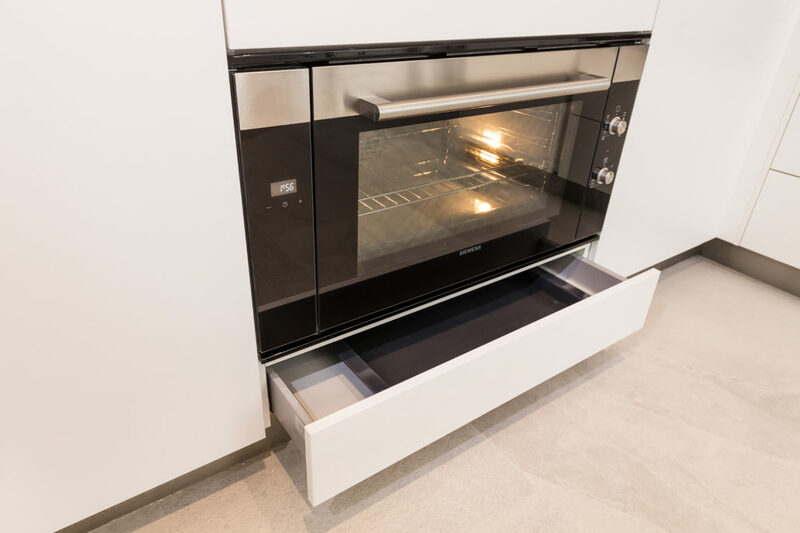 The Siemens hob, built-in oven and microwave alongwith Elica hood ensure cooking is seamless with least residual fragrance. 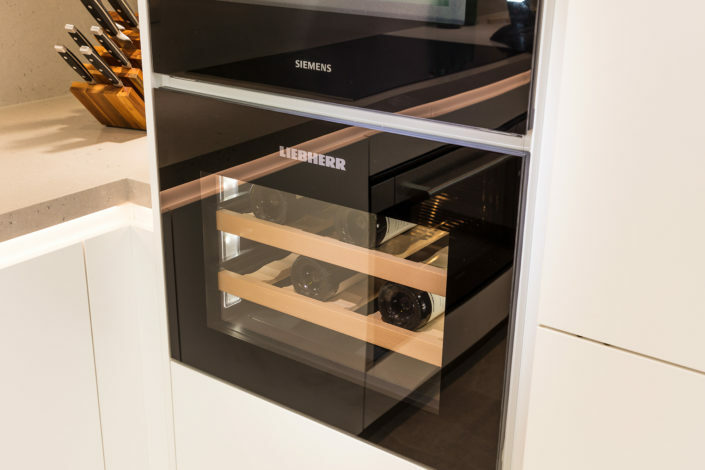 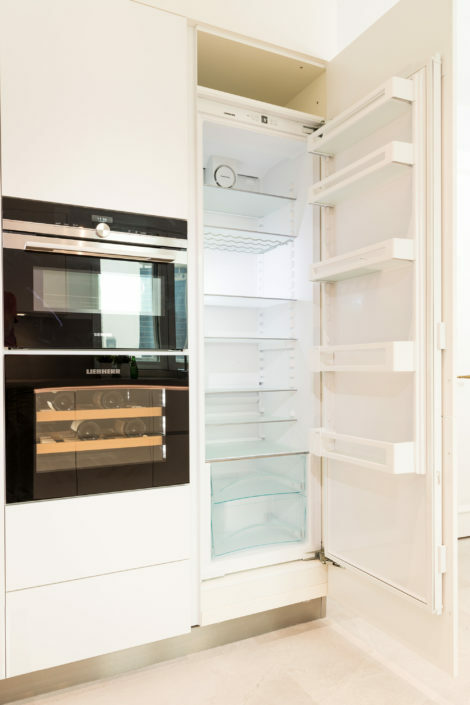 To cool things down a bit, a fully integrated Liebherr refrigerator, under countertop built in freezer and an easily accessible wine cooler have been installed to keep items fresh for longer. 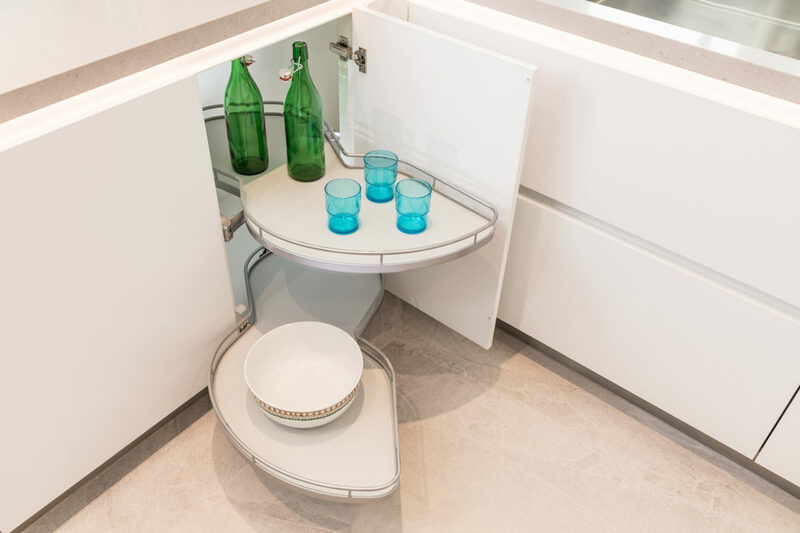 A befitting Foster Sink with brushed metal finish and mixer have been flushed into the Silestone Royal Reef work top. To finish all these amazing elements, and to set the mood there are LED lights fixed under countertop in addition to the spot lights under the mounted cabinets. 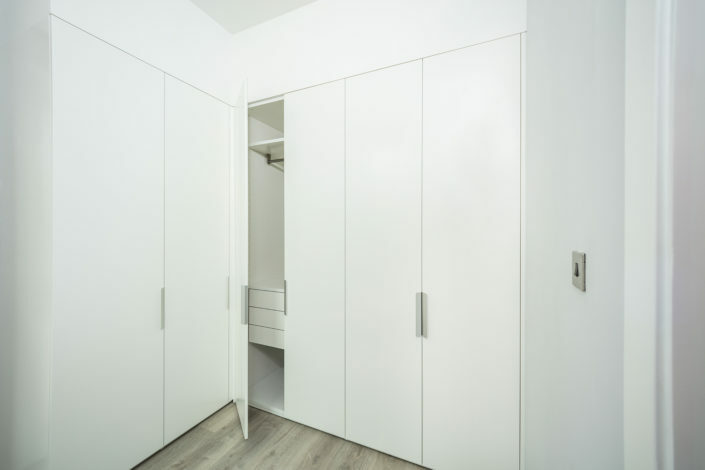 Continuing the German legacy from the Schüller kitchen to Interlübke walk in wardrobe ensuite to the master bedroom. 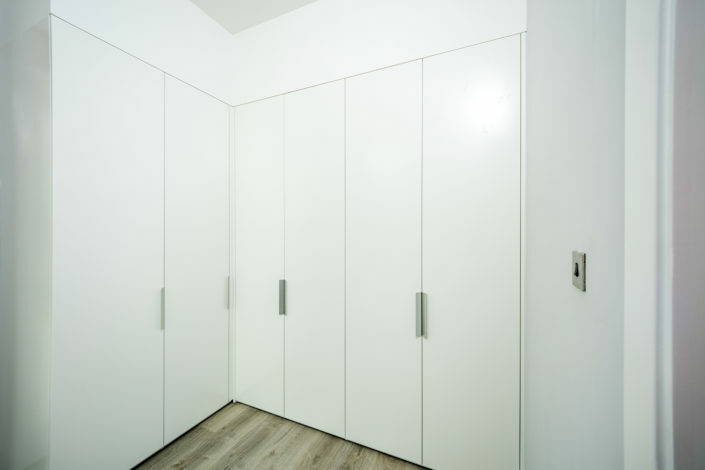 The wardrobes are simplicity at its best with a understated Snow White lacquer and stainless steel sleek handles. 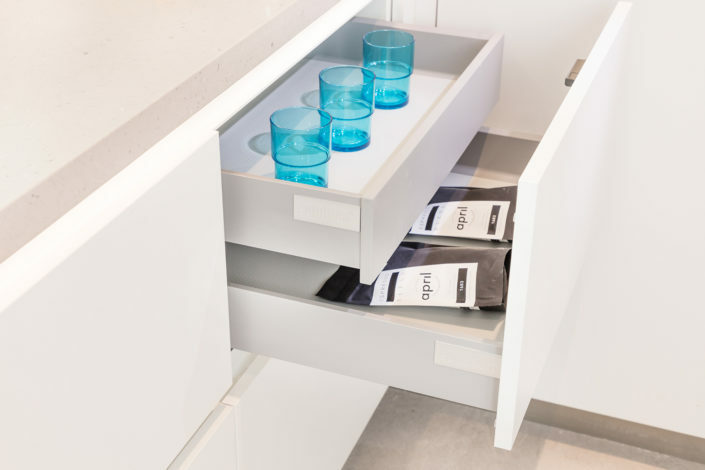 Storage is amplified by omitting the usage of plinth. 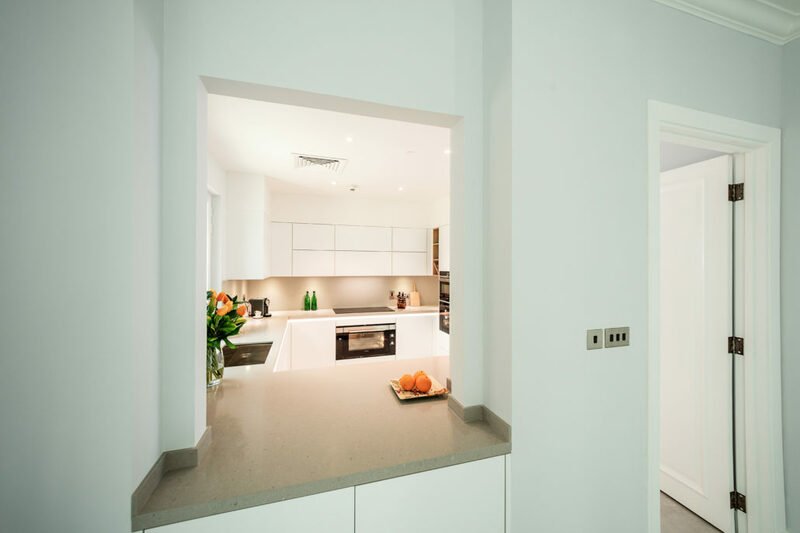 All in all a clean and immaculate kitchen and wardrobe design executed by Team Goettling. 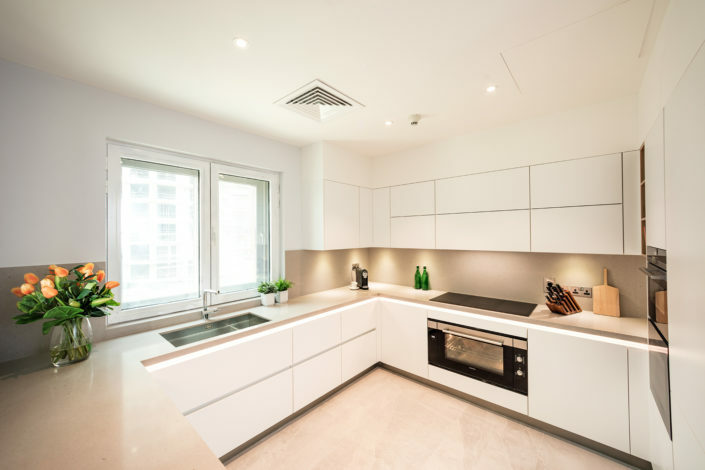 Call us on 800-GERMAN to know more about how we can help you with your kitchen makeover.